Slice of Life: What kind of writer am I? 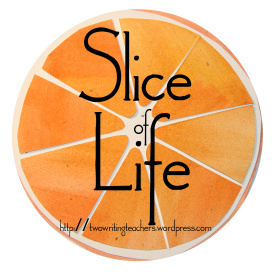 It’s Tuesday, time for Slice of Life with Two Writing Teachers. Thanks to Anna, Beth, Betsy, Dana, Stacey and Tara for growing and supporting this community of writers. Without this, I would not be asking myself, What kind of writer am I? This question has been asked and answered by many slicers. And, I’ve read your posts thinking, yes, me too! I need to do this! Then something would get in the way. I’m an in-the-moment writer. It’s hard for me to hold ideas for later. I love to write what’s top of mind, right now. And, I’ve been hesitant to answer because I’m not sure. Perhaps, I’ll give it a try, today knowing that I’m a writer who deals with confusion by writing. Just saying this makes me worry, what will people think, because I’m a writer who worries. I’m a writer who worries that I keep saying the same thing over and over again, that I have nothing worth saying, that it doesn’t make sense. I’m a writer who says what I think and then worries about it. I’m a writer who seeks writing as a refuge. In the early morning hours when no one is up, a cup of coffee beside me, or late at night with no one around, no distractions. Part of this need for aloneness is because I’m a writer who wouldn’t want anyone to think I think I’m a writer. It’s just me working. On my computer. On something, Nevermind, it’s nothing. Just work. I’m a writer who grew up with a “real” published author, which makes me question myself as a writer. I’m a writer who has an internal dialogue, a stream of theories, arguments, and counterarguments that surface whenever there is quiet. I’m a writer who wakes up in the middle of the night because I’m writing in my head. Writing is a place for the voice in my head to come to temporary conclusions and next steps. I’m a writer who loves the brevity of poetry yet struggles to shorten sentences. I’m a writer who finds structure, meaning and everything worth keeping in revision. I’m a meandering writer. One that swirls around in places that often end up going nowhere, deleted. I’m a writer who loves the neatness of a circular structure. I’m a writer who starts in the middle. I’m not sure of the beginning till the end. What kind of writer am I? I’m a writer who is looking for my best self in writing with hopes that some of it will find its way into my daily interactions. Beautiful thoughts on who you are as a writer! Oh Julieanne, I found myself saying, “Me too!” so many times while reading this post. I worry. All the time. That I have nothing important to say or that I repeat myself and the list goes on…YOU have helped me with that. This blogging community has helped me. A LOT! You are a writer. You are a writer with heart and talent! You are a writer who tells her beautiful story, one day at a time! Keep writing, WRITER! What Fran said and back at you… keep telling your story WRITER! You are also a THINKER! With thoughts and reflections, your mind circles around your writing . . . continually closing in on the target! You are also FEARLESS! You are a relentless sharer of your reading, writing, and reflections! You make our world a safer place for us to share when you forge ahead and write, write, write! Thank you, Fran! Your encouragement helps me be brave, the mark of a true teacher: one that allows other to try and fail and be there to support the next try! Such a great mutual admiration society. TWT helps with a forum that provides a safety net and lots of encouragement! NO naysayers. Isn’t it great how positivity becomes that snowball that grows ever larger as it rolls down the hill? This is me right now, “I’m a writer who says what I think and then worries about it.” I haven’t hit publish yet on my SOL. I relate to so many of the ways you are a writer. I agree with Fran that you are a Thinker. I am so glad you share your thinking with us! I’m so glad you hit that publish button! Know you are always an inspiration to the writers around you! That last part is great, that connection from the thoughts to the conversation. Writing helps me organize the ideas. Love all your own thoughts about you as a writer, Julieanne. I think that connection is my take away from this reflection. How to get that processing into my life is a challenge worth trying on! I love that you say what you think! You are a writer that always makes me glad I could read your current thinking. Keep writing my friend! This is a safe place to write, to say things with readers like you. Thank you Elsie! I loved your reflection. Honest, poetic, engaging. 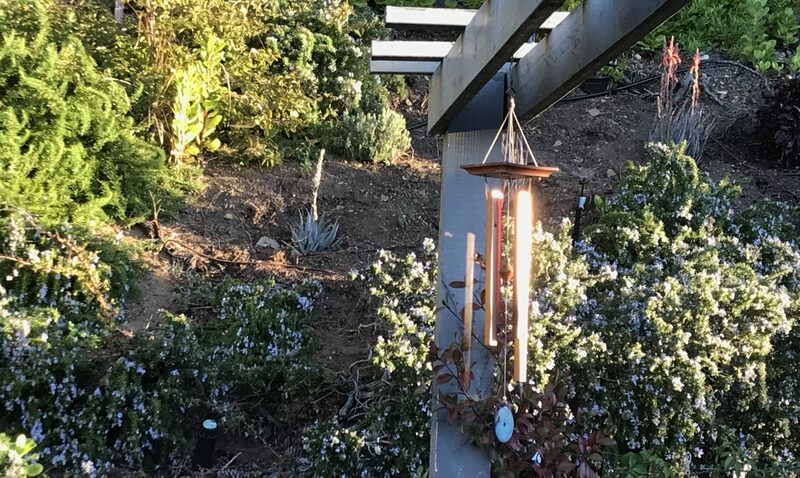 Fascinating how we can find ourselves nodding to what others have written, yet when you put all your pieces together the uniqueness emerges. I am glad and thankful that you took the time to answer the question. What a great reflection on why and how you are a writer! Julieanne, just writing the piece shows what a reflective writer you are. Your thoughtful post was introspective and honest. Keep on sharing your words in open forums. I’m so glad that you reflected on your writing life! I think that you did such a wonderful job of capturing just how intense and challenging it is to be a writer. Thank you for sharing and being a part of this amazing writing community! I love the honesty you put into all your writing, Julieanne! Like Michelle and Fran, I was nodding and thinking I’m glad it’s not just me! I especially love this: “I’m a writer who is looking for my best self in writing with hopes that some of it will find its way into my daily interactions.” Your best self comes through loud and clear in all your writing. Love this idea and all of the others slicers who have written about what kind of writer they are. I need to do this. I know I am not a confident writer because I always worry/wonder why someone would read what I have to say. Maybe I should write about what I am not….??? Sharing these thoughts is the best part of this community. I am glad you continue to write and share with us.